I have written in the past about whether or not money is the root of all evil. I came to learn from many readers that I had the expression wrong and it is the love of money that is the root of all evil. I don’t know if I believe it is the root of ALL evil but yes, I do believe that the population of the world has become slaves to money. It is money that makes the world go around (in a matter of speaking of course). I think about the many issues we have in the world and when you dissect different problems you find that money is at the root….not always but an awful lot. I think about my life and I think about its purpose. What is my ultimate goal? I always return to the answer being happiness but then I start to think about what it is that would bring the happiness. I am not a materialistic person and I have never been the person that needed to wear major labels or purchase brand name everything (not that I am judging those that do). I live a comfortable life…I work hard and I come home to a nice condo (nothing outrageous but definitely nice). I enjoy being able to go out to dinner with friends or buys things on occasion for myself or others. I love doing for others whenever I can….just this morning I donated money to an old high school friend for her Heart Walk and raising money for more research (she is 35 and had a heart attack just 3 years ago). I just wanted to help because I was able to. I then wonder what my life would be like if I had none of that. What if I was financially poor? Would I still be able to enjoy happiness in the same way that I enjoy it now. I know it sounds superficial but I do wonder about it. I don’t believe I depend on money but I do enjoy the comfort it provides. I wanted to be completely honest here. I believe I have a good heart and I strive to always do the right thing (I don’t always succeed but I try like hell). I think money has made society very ugly and I have realized that I am part of that society. I wonder if life would be a lot different if I grew up with very little….would I appreciate life differently? Don’t get me wrong, I appreciate life in an extreme way now and I do not take what I have for granted, I just wonder if I would appreciate the little things in life more or if I would have resentment for not having what others have. Money can do terrible things to people. It is this simple object that holds such power…an object with no feelings…just a simple object. I have watched both extremes of the power that money holds over people. I have walked into homes that should have been torn down nearly a decade ago…homes that people were living in and raising children in. I have listened to some of these people talk and have this great appreciation for life even though they had so very little. Their lives revolved around family and love and that is what mattered the most. I have also listened to some of these people scream about how unfair it was that others lived with so much and they had so little….they resented the people working hard for their money….they felt entitled to have the same things without having to do the same work. I have also seen people use their financial status as a power symbol and bark orders at others simply because they felt as if they were better than everyone else because of the amount of money in their pockets. It really doesn’t matter how little or how much money you have….it has this power to do evil things to people. Would life still exist without money? It may be a naïve question but why do we need money to survive? Why was money invented one day to “solve” the world’s problems? It seems to be that it has done quite the opposite. These are strictly my words here. I may say them but I also admit that I am one of those people that chases the good ole American dollar. If I lived off the grid and foraged my own food and lived off the land….well let’s face it I would have a nervous breakdown. Nature would chew me right up and spit me out. I am a sucker for new gadgets and gizmos just like anyone else and it does kind of sadden me to say that. I have been swayed and I cannot seem to get out of the grip of monetary power. If we didn’t have such dense population in the world and every family had a garden, raised their own livestock…. sustenance living, money wouldn’t be such an important factor. If the next family lived a two days horse ride from the next and not directly above you, the world wouldn’t have to worry about “producing” so much to meet their needs. Where would people in metropolitan areas get their food, clothes, etc? We’ve become very efficient at providing for the masses, which has caused the human population to boom….therefore having to develop a system to accommodate that…ie…money and jobs. It’s really no different than trading goods. Instead of trading chickens for produce, a person now works for the chicken farm, makes money, then buys the produce from the grocer, who bought the produce from the distributor, who bought it from the farmer…etc etc. Also, we can’t work our entire lives….at some point, we have to have money to live on when we can no longer work. Some people are comfortable living with small means while others like nicer things and a nicer place to live…..that’s the beauty of Freedom and Liberty….the right to choose how one wants to live! Is it money????? 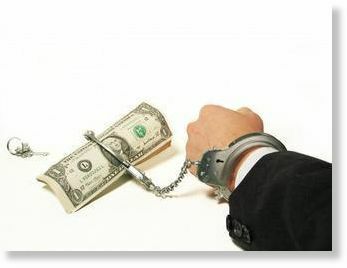 Or is it power….control…..which money can bring as a side effect if you will…..that causes such problems. Great post. Nice reflections here. I agree that money drives many behaviors and lack of moral codes. I also agree that power and control are directly proportional to the amount of money one has more often than not.